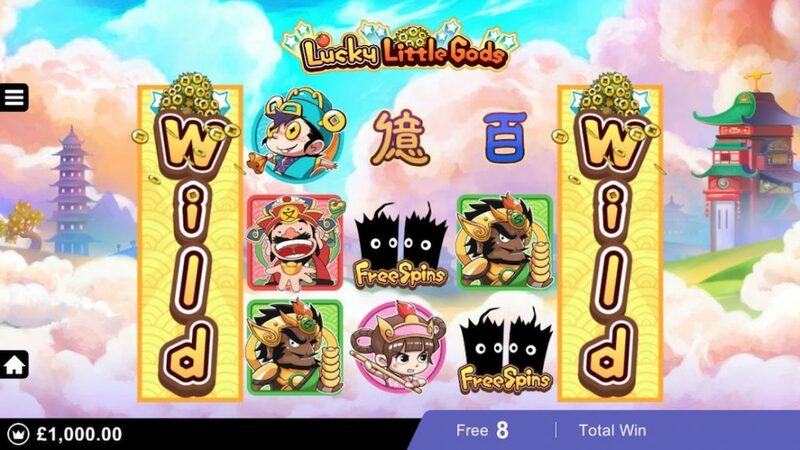 Microgaming launches Lucky Little Gods in time for Chinese New Year. Fortune and folklore awaits players in Lucky Little Gods, a five reel, 243 ways online slot where players can spin to win for heavenly prizes as they celebrate the Chinese New Year. Inspired by Chinese mythology, the slot is set in an ethereal realm hosted by two gods of fortune and combines vibrant graphics and quirky animations with plenty of divine bonus features. The Golden Tree scatter can land on reels one or five in the base game, triggering the dancing tree animation and causing a cascade of golden coins that duplicate the coin award over the symbols below it. Giving players a boost of luck, the golden Treasure Pot can land on reel three in the base game to grant players extra prizes, while the Little Gods can randomly materialize on any non-winning spin to award a cash bonus. Launching player winnings to dazzling heights, the game also features the Firecracker scatter, which triggers the free spins mode where reels one and five are wild for the duration to spark even bigger rewards. Lucky Little Gods goes live with Microgaming and Quickfire operators on Thursday 1 February 2018. Check out the gameplay video here. To see the company’s diverse portfolio, visit Stand N5-220 at ICE 2018, 6-8 February, ExCeL London.